In your home, you may have rooms dedicated to a specific purpose, such as a den for relaxation and a formal living room for entertaining, which is also true for areas in your home you eat in. 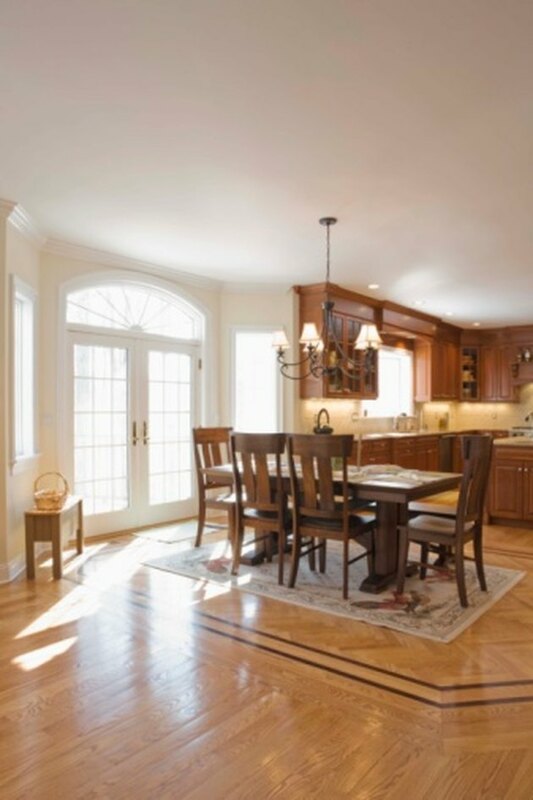 Most homes have a dining room or a breakfast room; however, if you're trying to decide whether or not to have both a dining and breakfast room, you should understand the differences and benefits of each room. The difference between dining and breakfast rooms comes down to size and room purpose. Dining rooms are specifically designed as the official area of the home where food is consumed. The placement of this room is typically near or connected to the kitchen and features a large table, known as a dining table, and adequate lighting for guests to clearly see their meals. Throughout history, dining rooms have been utilized as a gathering place and an area designed for entertaining. Modern dining rooms are typically the size of a bedroom or a smaller living room; however, in medieval times dining rooms were typically called Great Halls and these giant rooms could house hundreds of guests. A breakfast room, also known as a breakfast nook, is designed to be in close proximity to the kitchen. This room is designed to offer a relaxing and comfortable space to enjoy the first meal of the day; however, it may also be utilized for nonformal lunches or dinners. Typically, a breakfast room features a smaller table than a dining room and is not designed to host a large number of guests. Perhaps the most noteworthy similarity between a dining and breakfast room is their purpose. Both rooms are designed for eating and entertaining. While each of these rooms features different size tables and seating arrangements, the overall purpose remains the same. Their location to the kitchen is also quite similar as both rooms must be within close proximity of the kitchen for easy transfer of food. One of the main differences between a dining room and a breakfast room is its size. Dining rooms may range from seating five to over 15 while breakfast rooms are more intimate, thus reducing the number of seats. The casual nature of a breakfast room is another defining difference.